Any marketer worth anything will tell you that the key to increasing sales is to use A/B testing to determine which sales tactic is more successful than another. If you're not familiar with it, A/B testing (sometimes called split testing) is comparing two versions of something to see which one performs better. With that in mind, have you ever wondered why some tactics are more successful than others? Unless you're selling to Mr. Spock, there's a much simpler way of convincing people to buy what you're selling. The key to turning prospects into clients is tapping into the deeply embedded emotions inside each one of them. By identifying these emotions and learning how to trigger them, you can increase your revenue faster than you can say "Chia Pet." Here are the top 5 psychological triggers you can start using immediately to boost your bottom line. Translating this into your marketing strategy, you must first identify what your clients associate with pain and pleasure. Once you've figured that out, the rest is easy. Draft your marketing message in a way that shows your customers how your product or service will get them as close as possible to their pleasure trigger and away from their pain trigger. For most of us, life is complicated. Too complicated. It takes 47 steps to get us from the comfort of our beds and out the door prepared to work. We don't need another product or service that will add more steps (obstacles) to our day. Take a good, hard look at what you're selling. Does it add or remove barriers from people's lives? If it's not easy and fast to use, consider making a few tweaks that will take all of the "no's" out of the equation. If you've ever heard someone complaining about the lack of significant changes in the latest iPhone, but still stand in line for hours to get one in their hot, little hands on release day, you've witnessed the power of novelty. 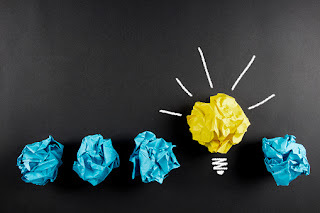 You can easily create innovation with your products by making a few simple changes and give your prospects that shot of dopamine they've been craving. Think googly-eyes on the pet rock. Humans have evolved over hundreds of thousands of years by telling stories. It's how we share our experiences. The best storytellers invoke all of the senses to put their audience directly into the action. You can infuse even the most mundane products with the magic of a good story. Try updating your copy to tell a story about your product that transports your prospects to a happier, more memorable place. They'll buy just to keep the story alive. We've all turned 16 at some point in our lives. Remember the anticipation we felt as the day drew nearer and the prospect of being able to drive around without an adult sat winking at us in the distance? It made life a little more sparkly, didn't it? If you've got a new product or service in the works, don't just plunk it down on the counter when it's all done. Start building some buzz while you're still working on it. Send out emails to your current customers and prospects. Create a series of videos giving out little bits of information at a time. Get people in that "I can't wait" mode and your launch day will be more profitable than you can imagine.